These traditional red tip tracer rounds offer safe and entertaining shooting from any weapon chambered for 40 Smith & Wesson. Each round produces a highly visible bright red streak of light that can easily be seen day or night. Red tip tracers were originally developed for military use, providing a simple method for shooters to visibly track the trajectory of their rounds. Each round features a unique pyrotechnic charge at its base which produces a trail of red light when the primer ignites the propellant powders. The trace begins immediately upon exiting the muzzle and continues to trace for up to 400 yards. 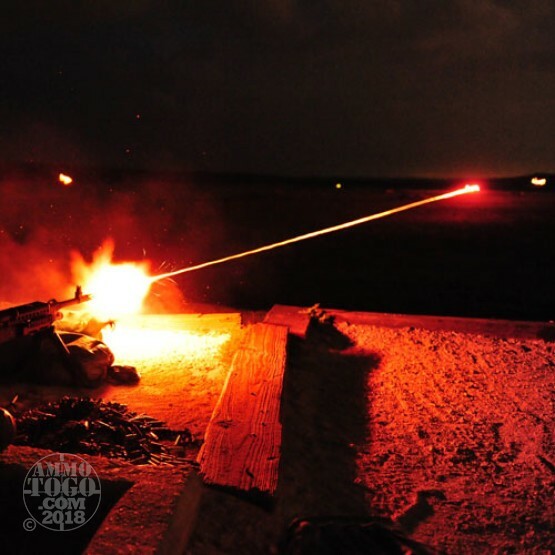 The bright red trace created by these novelty rounds is vibrantly visible in dark conditions, although it is still easy to see even in broad daylight. While these rounds can offer hours of entertainment, they do pose a mild fire hazard. Special care should be used by the shooter. Avoid firing tracer rounds into dry brush or other combustible materials.